In adventuring to out of the way places, it is always so upliting to see the colors, textures and vibrancy of healthy coral communities. 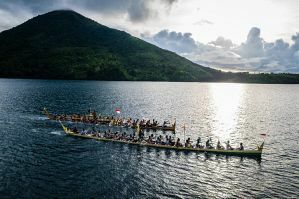 We can experience some of the very best of this vibrancy in the Lesser Sunda Islands, in the heart of the Coral Triangle, from Komodo National Park in the West, to the islands East of Flores and beyond. 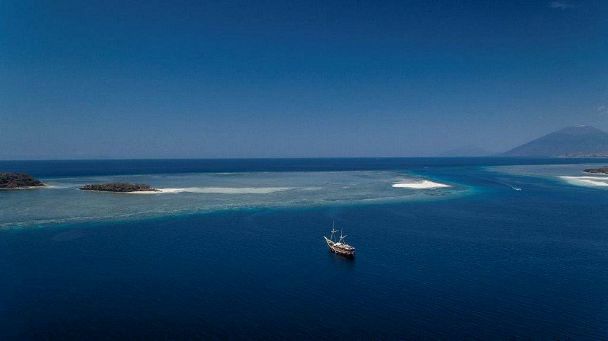 The Seven Seas will be organizing an epic expedition to this area, combining the Komodo and East of Flores itineraries in a 14 night trip from June 19th to July 3rd 2018 (yes, this year!). We will be exploring and experiencing a great variety of reefs along the journey from West to East, across the gradient from the warm and clear waters of the Flores Sea in the North, to the cooler and nutrient rich waters of the Indian Ocean and Savu Sea in the South. 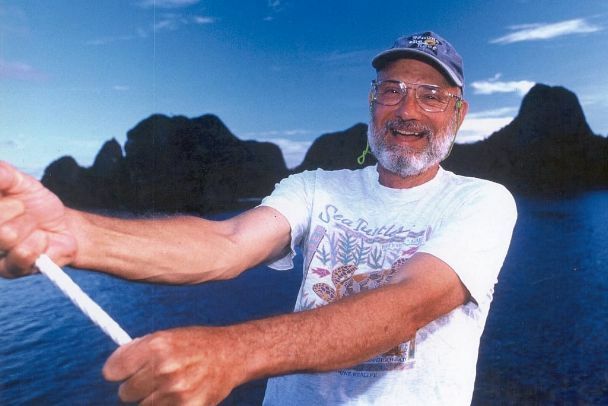 What will be making this trip extra special is the opportunity of discussing the effects of climate change on these reefs with Dr. Rod Salm, coral reef ecologist with 50 years’ experience in marine conservation. 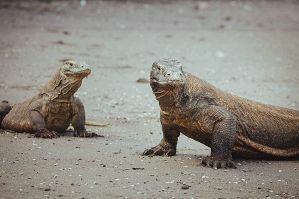 Rod will accompany this trip that will start in the islands of the Komodo National Park, cover sites and stops along the North coast of Flores and explore the archipelago of islands and reefs East of Flores. 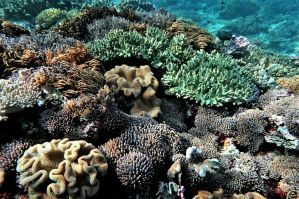 Rod will point out the aspects of resilience to climate change that are characteristics of these reefs in the center of the Lesser Sunda Islands. Come along to enjoy the reefs, diverse cultures, and extraordinary seascapes on this cruise. 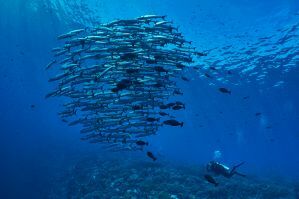 And for those who are willing, Rod will lead some diving exercises and related discussions pertaining to understanding the effects of climate change and resilience to impact exhibited by the reefs that we will be diving. Rod’s comments from his last trip with the Seven Seas: “Our trips aboard the vessel with its helpful crew are always great; but for a longtime observer of corals and their survival or demise in the tropical seas of the world, I keep searching for and celebrating areas where the coral communities display resilience to the stresses affecting reefs elsewhere. These areas stoke my optimism and keep hope for reef survival alive.” In addition, Rod also likes to study reefs that clearly have had problems and then think about the reasons – is this caused by heat stress, acidification, crown of thorns starfish encroachment, destructive fishing or a combination of all of these possibilities… Or is it maybe something else altogether? Participants’ thoughts and input will be most valuable and could potentially be used to improve future field assessments of reef health and resilience as affected by climate change and other contributing factors. Hope you will join us! Rod and the Seven Seas Team. Please send us a quick message if you're interested and need more details about this trip. "What a trip! Schooling hammer heads. Hunting Silver Tips, corals that we could not even dream of. Fabulous crew, delicious food, great sky. Forgotten Islands- never ever to be forgotten." » Click here for more testimonials. By Alexis Fosler. Photos by Kerry Lorimer and Hayley Baillie. The magic of the Indonesian archipelago has whispered to me since I was a little girl, the call to explore her 17,000 islands sometimes a murmur, at other times a siren song. I can’t quite recall when I first heard mention of the Forgotten Islands, but I know I was instantly smitten, drunk with longing for these lost and lonely isles. I had almost forgotten the islands myself, when a serendipitous email from Jos reminded me to inquire as to the availability of a cabin on these much sought-after voyages. Finally, I am here, skimming across a wine dark sea. Lightening flickers on the horizon, and the black foresail crackles and snaps in a stiff night breeze. I remember that my happiest moments are aboard the Seven Seas – she is a seductress, a sorceress, a magic and moments and memories maker. Welora’s dives offer up a lurk of barracudas. A storm of fish darkening a forgotten sky, a menacing cloud stacked above us. The island of Dai displays an underwater landscape of the most diverse corals we have ever seen. Autumnal shades of russets, reds, oranges, golds and vibrating, vivid yellows, lie below a drizzle of autumn leaves as butterfly fish and antheas become a blossom rain of petals over the ocean floor. In a stronger current, a coil of jacks turns tightly above us, agitated at the arrival of a squad of unicorn fish. 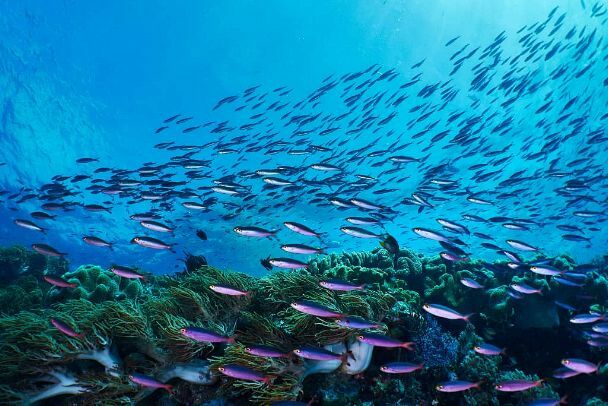 These are the unofficial policemen of the underwater world, their truncheons borne proudly before them, anxiously policing the reef edge as a a fury of sergeant majors dashes by, a prison break of convicts making a mad escape. We are distracted by a veritable flock of parrot fish, a school the size of which none of us have ever seen, preening and pirouetting against the reef. We surface, our grins as wide as the ocean. Kelapa and Semata bring rain and drizzle and a darker kind of magic, mating GTs, black and silver pairs upon pairs, darting against the dark blue sea in perfect finchronicity. An enormous sail of batfish briefly blocks out the sun. Sailing that night for Teun, we experience a 360-degree sunset, the horizon that encircles our vessel tinted with hues of rose, gold, Tiffany blue and lemon yellow. Later, we dance on deck, whirling dervishes under a dragon blood red sky.